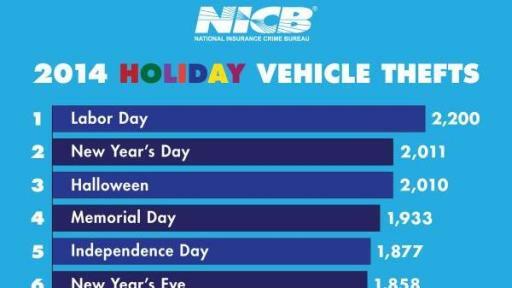 Holiday car thieves had their busiest day in 2014 on, ironically, Labor Day, stealing 2,200 vehicles according to new data released today by the National Insurance Crime Bureau (NICB). 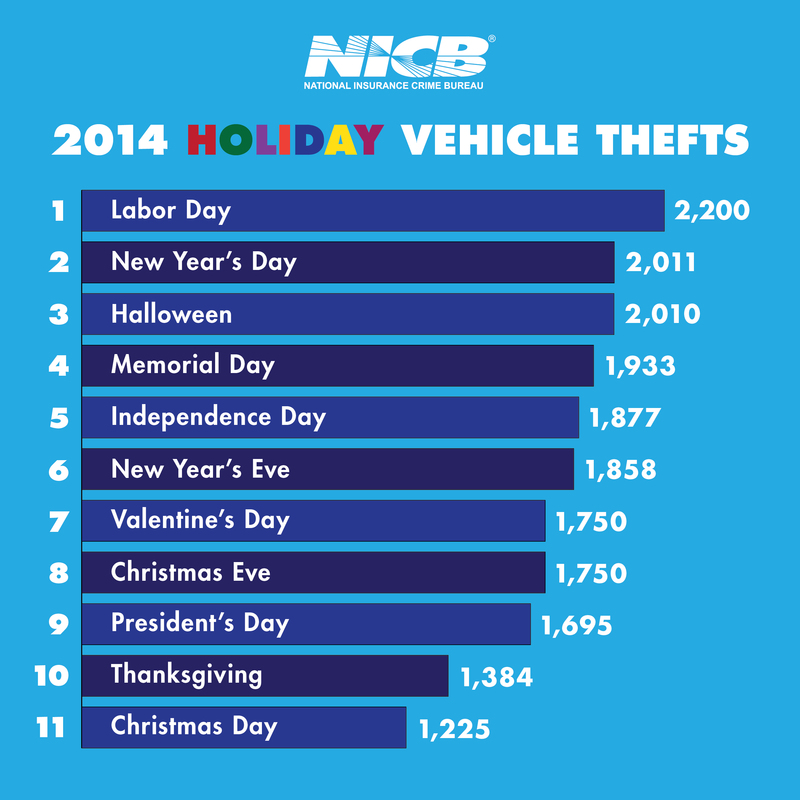 NICB’s 2014 Annual Holiday Vehicle Theft Report analyzes data from the National Crime Information Center (NCIC), which showed a total of 695,246 vehicle thefts for the year. After Labor Day, New Year’s Day was the next most active holiday with 2,011 thefts. Halloween came in third with 2,010 thefts followed by Memorial Day with 1,933 thefts. Independence Day rounds out the top five holidays for 2014 with 1,877 thefts. The holidays with the fewest thefts in 2014 were Christmas Day with 1,225 thefts and Thanksgiving with 1,384 thefts. By comparison, the day with the most thefts in all of 2014 was July 7 with 2,361. 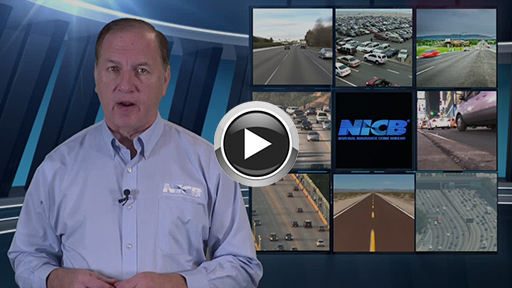 NICB reminds drivers this holiday season when leaving your vehicle for whatever reason to take a moment and be sure to hide your valuables from view. Even an empty backpack looks appealing to a thief from the outside. See the full holiday vehicle theft report here. Watch a video report here.